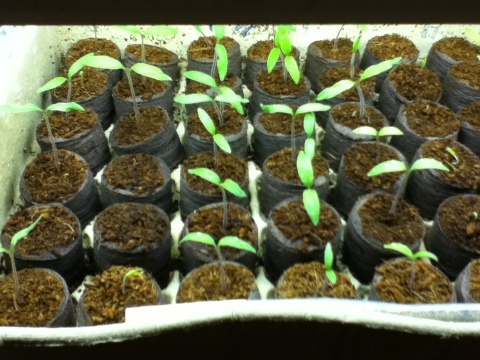 We always start our tomatoes, peppers, eggplants under fluorescent lights in the house. This year we added poppies to the mix. 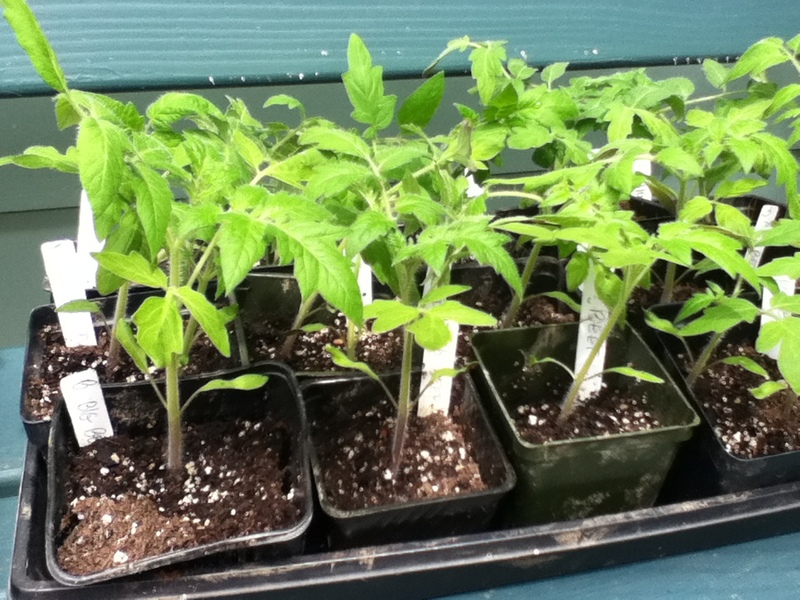 These tomatoes must be ‘hardened off’ by exposing them in increasing amounts to the sun and wind everyday…but no rain and no overhead watering. This poppy seed (St. John’s Wort) is the only one to germinate so far. It looks good and I’m looking forward to the bees crawling all over the blossoms in three or four months. 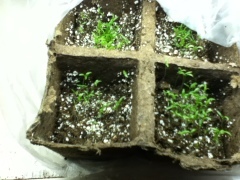 Four squares on left are Island Bush Poppy, (Dendromecon) No they’re NOT Island Bush Poppies, they are St. John’s Wort, (Hypericum) pollinated by our bees last year and planted from that very fine seed. 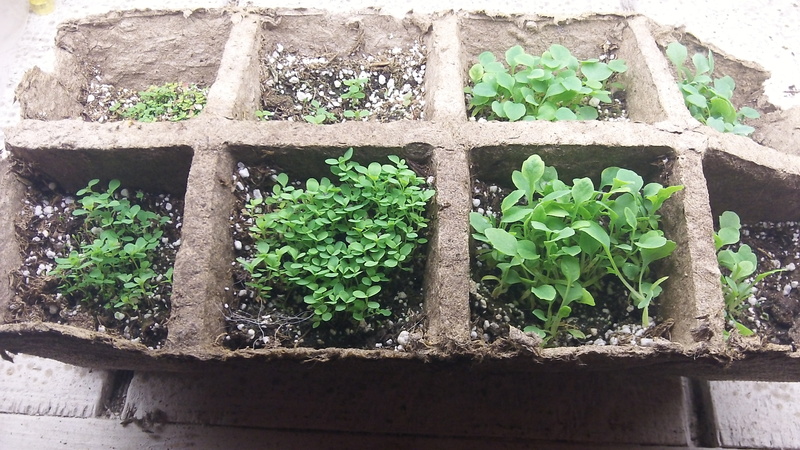 4 squares on right is a store-bought seed mixture. It sure takes a long time to grow. I should have started in January. Love it !!! Spring has sprung! !